a companion you can count on. 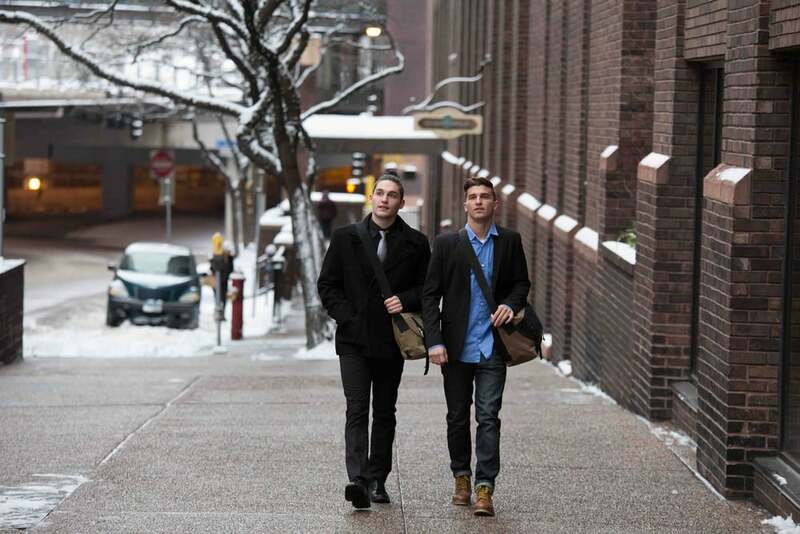 you'll like how we carry on. than a mere means to an end. 48° north is a circle of latitude that crosses Europe, Asia, the Pacific Ocean, North America and the Atlantic. For you, that may not mean much at the moment. But it will. Because for us, it defines our commitment to world-class quality and style. It reminds us that our customer is at the center of our world. It’s the reason we design bags to take the journey of life with you. More of a faithful companion than a mere means to end. Whether it’s uptown, downtown or the far-flung reaches of the equatorial plane, you’ll like how we carry on. Good enough isn't an option. 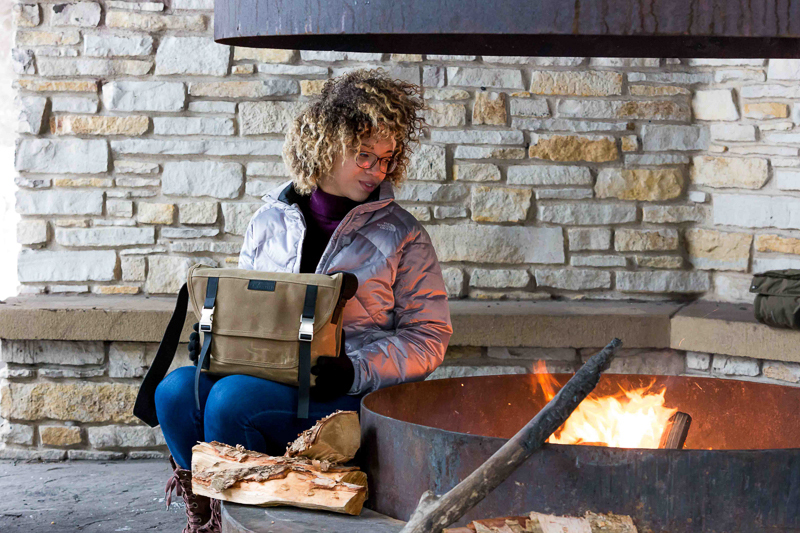 That’s why every 48North bag is designed and built by hand, right here in Minnesota, USA. Pella Corporation takes care of their customers - treats them right! Recently 48North was selected by Pella to provide 400 hand-crafted totes specifically for invited guests attending a grand opening event celebrating their new showroom in LuxeHome at the Chicago Merchandise Mart. Custom craftsmanship is featured for home building and renovation as part of Pella’s luxury brand. We really like that. 400 totes with embroidered Pella logo were produced and delivered for Pella’s grand opening event. Pella recognized that we align with their commitment of customer satisfaction in craftsmanship, creating beautiful and long lasting products meeting stylish needs while making life easier. Pride in crafting beauty and innovation runs deep and parallels with our shared mission and company values. Think of 48North in enhancing your client and customer experience…we look forward to exploring ways to connect with you. Recently received a Pella Tote? It’s what's inside that counts. Which is why what's outside matters. 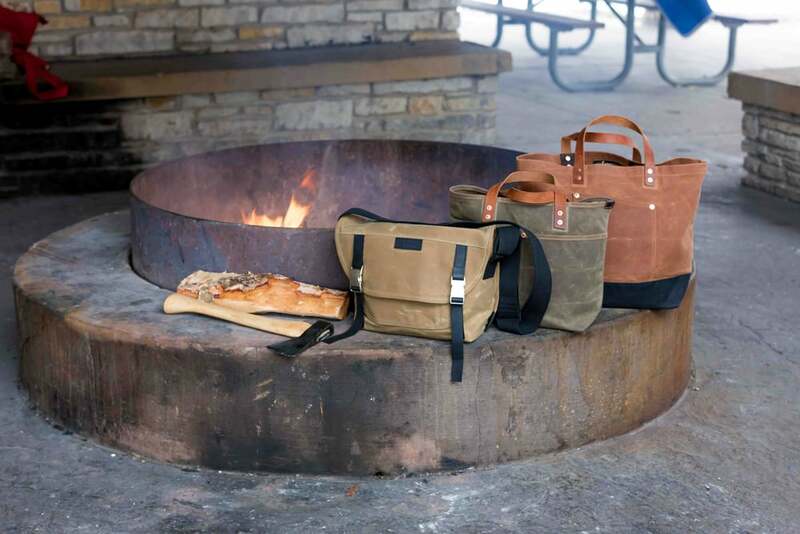 Crafted from the finest waterproof waxed canvas and boldly built to do more than just go along for the ride. A masterful messenger bag that offers the perfect combination of tough, comfortable and cool—ever ready for any over-the-shoulder excursion from downtown to Down Under. No Velcro to snag sweaters, gloves or straps either. Which is nice. 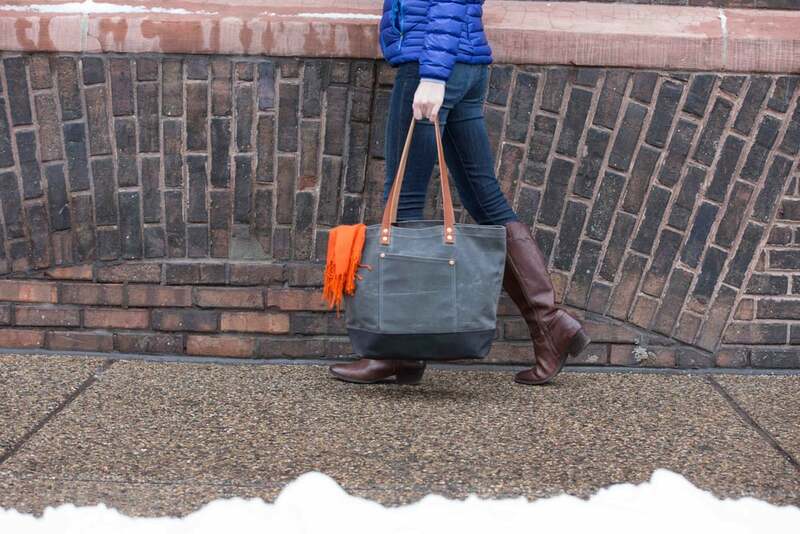 Just because these totes work their tails off to help you get things done, doesn't mean they don’t pack style too. Perfect for the discerning Farmers' Market fan who’s hauling heirloom tomatoes, but just as ready to haul beach towels, books, firewood or a laptop. Rolls up compactly and springs to life in a heartbeat when you need it. Which makes it a car trunk favorite for those unexpected trips to the grocery store or your bookstore nook. When we make a pack, we lean into it with both shoulders. We take the best the tradition has to offer and then give it a 21st-century twist and a healthy dose of soulful styling. That way, all of your gadgets, gizmos and go-to items remain safely tucked away, weather-protected and always well within reach. A great new companion for a long weekend road trip.